Since our service comes without a contract, you are free to cancel at any time. We do recommend downgrading to the FREE plan as well as deactivating any value added services you are subscribed to. This helps you utilize our service for free which can be especially beneficial as a backup SIM while traveling throughout the UK. 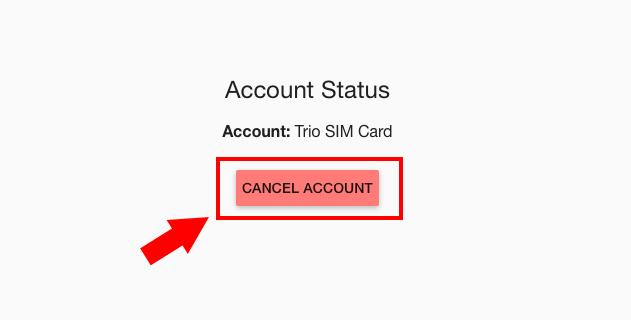 Please note: If you cancel your account, you may not be able to transfer your phone number. If you plan to port your number, make sure to complete the transfer process before cancelling your service. You can find more information on downgrading your account here. By keeping your account active, you will continue to receive 200 texts, 200 min, and 200mb of data, free for life! 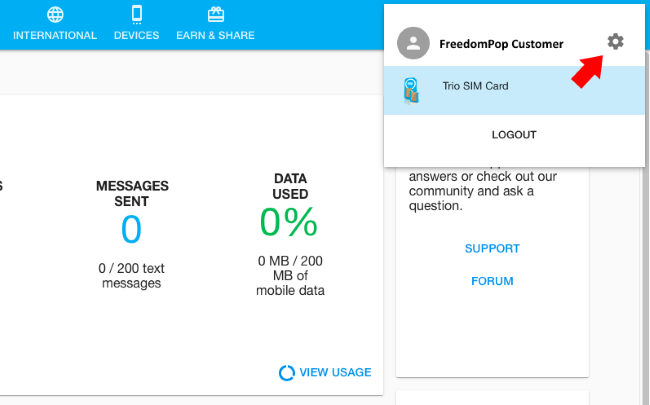 Step 1: Log into your account at my.freedompop.com. Step 2: Click on your name in the top right corner of the page, then click the Settings icon. 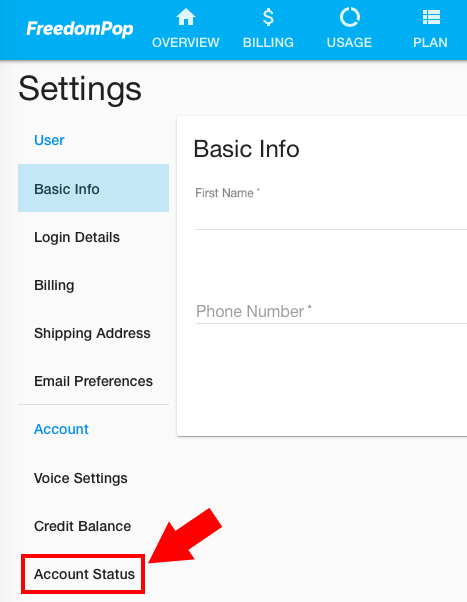 Step 3: Select Account Settings from the list. Step 4: Click on the Cancel button to deactivate your account.